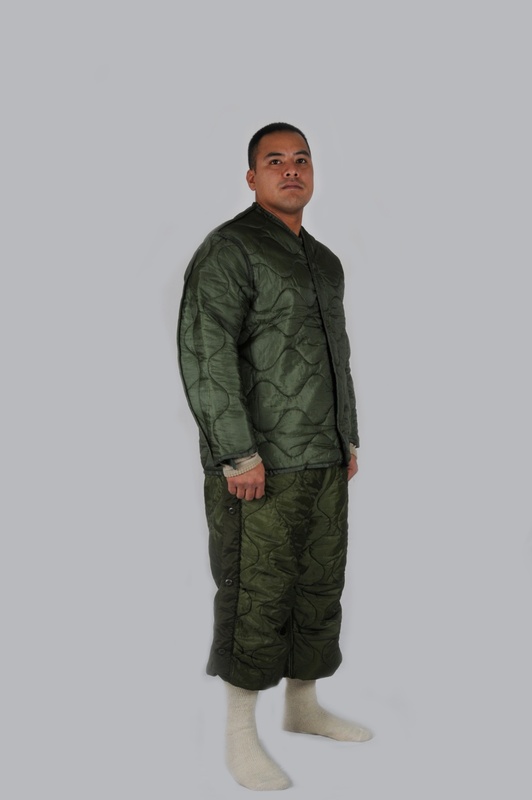 The cold weather field coat liner and trouser liner serve as an insulating layer for the ECWCS. The coat and trouser liners have been redesigned to make these items capable of being worn independently of their respective outer garment. Buttons have been added to the coat liner front. Buttons and buttonholes have been added to the outseams of the trouser liner to form buttoned side openings for easy removal.